Hockey, Music ( 80's new wave namely ) good movies, such as 2001 a space oddyssey, Art and food. lots of food. Taking fish oil the same time as accutane? 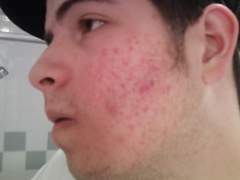 I was told not to take fish oil while on accutane by my derm. She didn't explain why. 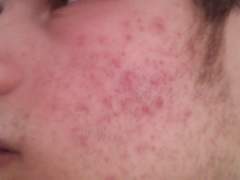 I think if you have been on Accutane that long and still not seeing results you should try to find somethign else. I took it for 5 months and did nothing and clear. 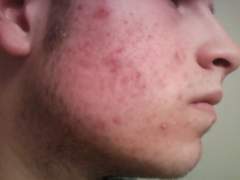 Knowing that Accutane has side effects goes unsaid, BUT you are bassicly forced to know them. 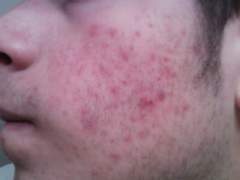 So anyone that has gotten Accutane is aware of them. I started at the list of side affects and said to myself " I would rather have half of theese and not have acne.." that being said the maybe 2% of people that would get the more severe side affects I guess this dosent apply to. I wouldent want anyone thinking that im ignorant in that acutane isent a 100% cure all, but this was really ment to just entice someone I suppose. Good to hear, It will work! Lets be blunt.. You... and Your mind are making your life worse. 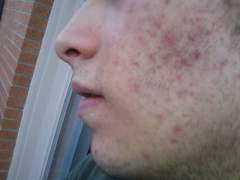 I'm half your age, I feel like because of acne It has made my adolecent years not what they could have been, I look back knowing that im not going to have any fond memories, BUT you control your happiness. Move forward. Make progress. Press going to the derm as much as you can. The regimine wont work fast enough anyways, I'm assuming school for you starts within 2 months or so and if that is so then you will probly just be worse off on the regimine. Force your mom to take you to the derm get Acutane finish it. 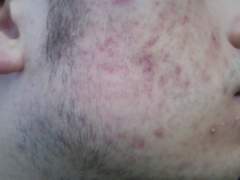 After 5 months I have had no new acne. I had dry lips. That is all. This drug was perfect for me.